OneMob, a 2015 Gartner Cool Vendor in CRM Sales, Brings Personalization to the Buyer’s Journey, Resulting in More Trust, More Responses and Faster Sales Cycles. San Francisco, August 17, 2015 – OneMob Inc. announced today that it is seeing tremendous customer growth as new companies leverage the OneMob platform to personalize the way they connect with prospects, customers, partners and employees. Using OneMob’s apps, these customers have seen explosive results including a 15X increase in email CTRs and a 10X increase in response rates. More importantly, they are building trust and improving relationships through personal video, two key components that get lost with canned voicemails and automated emails. OneMob’s video and voice messaging platform for Salesforce enables companies to harness the power of video to transform the way they sell, service, market and engage with customers. With Internet speeds increasing and mobile smartphones vastly improving, video is becoming the new medium of communication. OneMob is leveraging this trend and layering personalization into the fold by making it incredibly easy to record and send personal, company branded video and voice messages that are fully integrated and tracked in Salesforce. According to CEB, 53% of customer loyalty is driven by the sales experience, and OneMob customers can now be more personal, trusting and engaging across the entire customer journey, ultimately producing more closed revenue. The company also announced that Salesforce Ventures, Salesforce’s corporate investment group, has invested in OneMob. Salesforce Ventures joins existing investors Tim Draper, Steve King (former CEO of DocuSign), Gainsight CEO Nick Mehta, Sand Hill Angels, Alchemist Accelerator and others. OneMob will use the investment to grow its sales, marketing, customer success and engineering teams. If you’re interested in joining OneMob, send your resume to careers@onemob.com. About OneMob, Inc. – Recently named a Gartner 2015 Cool Vender in CRM Sales, OneMob’s communications platform personalizes customer interactions. Their first product allows sales, customer success and support reps to record, upload and send personal, branded, and trackable video and voice messages to grow sales and renewals, all fully tracked and measured in Salesforce. OneMob customers include Intuit, Act-On, Glassdoor, Sacramento Kings, Fisher & Paykel, Betts Recruiting, Gainsight, and Re/Max. For more information about OneMob, visit: http://www.onemob.com. Salesforce Ventures—Salesforce’s corporate investment group—invests in the next generation of enterprise technology to help companies connect with their customers in entirely new ways. Portfolio companies receive funding as well as access to the world’s largest cloud ecosystem and the guidance of Salesforce’s innovators and executives. With Salesforce Ventures, portfolio companies can also leverage the expertise of the Salesforce Foundation to incorporate its 1-1-1 model of integrated philanthropy to make giving back part of their business model. Salesforce has invested in more than 100 enterprise cloud startups since 2009. 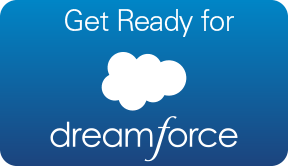 For more information, please visit www.salesforce.com/ventures. Salesforce, Sales Cloud and others are among the trademarks of salesforce.com, inc.
Have you ever started a recording and thought, wait, what do I want to say again? We’re proud to introduce a new script feature on our Web App that lets you quickly jot down exactly what you want to say or notes to help you make your recording perfect. It’s helpful to collect your thoughts and ensure you get the pertinent details across, and over time you’ll get so good you won’t even need it anymore. But until then, try it out today!